“Sarah is such a nice person with a heart of gold. I can only assume her husband is also. I met Sarah finally after a month of decisions over a dog. Finally Sarah made it happen. CRACKERS...our newest family member from Arkansas way. A black lab pitty mix... was in his confinement for a year after being abandoned in a home (I believe). I wanted Crackers at first pic. It wasn't until a pic of Crackers in his cage (?6x12') for a year we expidited. The animal, our new 2yo puppy is officially a family member. Our little kid! As a US veteran Sarah took special interest in us. “When we recently decided to add a new member to our family, we were very fortunate in two ways. First, we found Tank on Petfinder – and Tank has been a terrific addition to our household. Second, Odies Orchard Hill Rescue was the organization in charge of finding Tank’s new forever home. Sarah was fantastic from the first email inquiry we made about Tank. She answered our every question and asked many of her own; it was clear that finding the right fit for Tank was her priority. 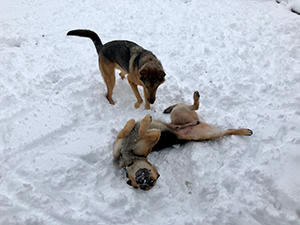 She helped arrange a meet-and-greet with Tank for us and our 10-year-old Australian Shepherd, Ajax, finding a safe place where Tank and Ajax could meet off leash to see how they got along. [Many thanks to Mike Ouellette and Dogology in Canton, CT for providing space and behavioral expertise.] Sarah wanted to make sure we learned as much as we could about Tank before making our decision. It only took 7 days from our first email to adopting Tank, thanks to Sarah’s dedication to her rescue mission. “This organization helps animals in need find a forever home. What Sarah has done for these animals is so admirable. She spends a lot of her time caring for the animals that she rescues. She also makes sure the animals find a forever home with loving , caring people. We recently got a dog from Sarah’s organization and he is the best thing that ever happened to us. "Happy New Life to Harper and Stella! Thank you Animal Rescue Friends and our southern foster Ashley for taking such great care of these girls! They are forever sisters in their forever home! Thank you to Miss Linda for making sure they got to transport :) OOHR could not have done any of this without you all. Also thank you to Allyson W. for the connection :)"
This is ALL about ROCCO! From the moment he was taken into the southern shelter he never once had a bad attitude. He was all smiles, licks and snuggles. Eventually he made his way to OOHR and everyone has been head over heels for him. The only thing we could find wrong with Rocco was his inability to stop wagging his tail so his “happy tail” would heal. Rocco’s adoption this morning was the best present any of us could have asked for!! Thank you all so much for helping Rocco find a home for the holiday! I’m blessed to know such wonderful and caring people. Thank you to my southern partners especially Starr Nguyen and her family. 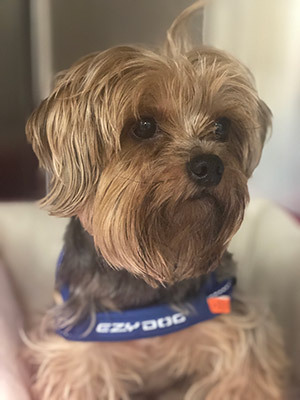 They have given so many dogs a new home here in The North because of their dedication:) Thank you Roaring Brook Hospital and Kennels for all you did to keep Rocco warm, loved and safe while he waited... patiently:) Happy Holidays!!" "Looks like Charlotte (now Lola) is enjoying her new family. Thank you Animal Rescue Friends & everyone else who made her Rescue possible. 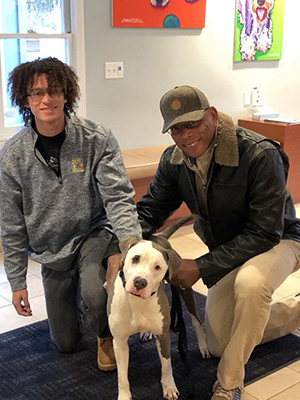 She is absolutely adored and loved :)"
“I would like to officially announce Zander is adopted and is doing amazing considering everything that he has been through. His new family says he is extremely obedient, happy and absolutely loves his new found life. Thank you again to Roaring Brook Veterinary Hospital ,ACO Mark of the Simsbury, CT Police Department and Phil Michaud:) Have a great Saturday because we all know Zander is!! "She is very happy and such a good girl. She is the greatest delight and such a blessing to have her in our lives. It's like she's lived here all along. She seems quite content here. I have changed her name. I hope you don't mind. Her new name is Priya. The Hindu meaning is “dear one" - and she answers to it well already! Thank you so much for accepting my application. I am so grateful. You're an angel!!!" "I saw Nubby on Petfinder and fell in love with him. I was nervous the day we adopted him, not knowing how his behavior really was. Well this 47 pound puppy is perfect. We changed his name to Arkie, short for Arkansas, my daughters choice. He is a big mellow love bug. He makes us laugh non stop, he's so well behaved and even likes the cat. The cat isn't to fond of him yet. He fits perfect with our family. He loves to take long walks or lay on the couch. He brings such joy to our home. Thank you Sarah for all the work you do with these animals." "I would have to say that Lola has found the perfect! Happy Forever Lola!" "The moment we saw Bonnet's picture, we knew we needed to explore adding her to our household to join our Yorkie/Min-Pin Penelope and to give Bonnet a chance at a normal dog life after the trauma she's experienced thus far. She's taken to our family unit extremely well, and we can now tell that she considers it 'home.' She has a very gentle, and affectionate disposition; she's extremely intelligent; and she's forming a very positive relationship with her new 'sister' Penelope. This has been a perfect match for everyone all-round." "We are so grateful to have the opportunity to welcome Nala into our lives. She has been acclimating to her forever home so well and has brought so much happiness into our lives! She is a great dog and we look forward to many years of her being the star of the family! 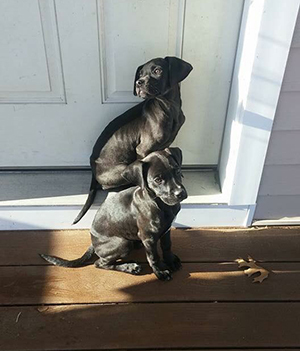 Thank you to Odie’s Orchard Hill Rescue and Sarah for trusting us and giving so many dogs the home that they deserve." What can we say? Darla is one of the sweetest dogs we have met in a long time. Thank you for trusting us, checking up on her while she is in our care and really making sure your animals go into good homes. She is a perfect match for our family. We are the luckiest family ever! Thank you Sarah"
"Sarah at Odie's Orchard Hill rescue was great! She was quick to respond to our inquiry and very pleasant. We are so thankful that she selected us to be Harry's forever home. He is perfect for our family and lifestyle. He couldn't be a better fit. What a happy, friendly dog he is. We call him Happy Harry! Thank you, Sarah!" "Sarah was so patient and understanding while we made sure Mandy was right for our family. We love Mandy and are so honored to give her the life she deserves." "He is a 'Wonder Dog'. After everything that he has had to endure, he is happy go lucky, gentle and sweet. He's incredible. We bonded much quicker than I anticipated and he attaches himself to me whenever we are together!.. I can't thank you enough Sarah, not only for rescuing him, but also for allowing us the opportunity to find each other." "Amazing people, amazing rescue!! I had a great experience dealing with this wonderful rescue. They care about the dogs so much and the customers also. We couldn't be happier with the pup they turned us onto. They rehabilitated this once shy skittish dog into a wonderful happy dog that fits in perfect with our family. He traveled all the way from Arkansas where he had an amazing foster who did wonderful things for this pup." "Sarah is an amazing woman who truly loves these animals. She does everything in her power to ensure these animals find good and loving homes. My experience finding the new member of our family, Lana, was wonderful." "Gaston is so happy. He is one spoiled pup, and he doesn't mind my kitties. Thank you all for making this possible and helping with making our family complete. We love him so much." 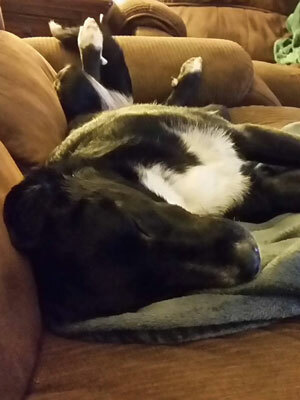 "Words cannot express what our family has felt since Aries came to her forever home with us. Love at first site!!!! We have one other rescue dog who is older and he has slowed down in the last year. Aries has brought light to our other dog Nick's life, as well as ours of course. I have rescued many dogs in the past and this must have been the best transition ever. No doubt that Aries is just as in love with us as we are with her. I want you to know that thanks to you (Sarah) you have given our family the best blessing we could ask for"
"Sarah and her staff are wonderful.Talk about someone with patience!! She is walking us through every step to finding the right dog for our family! Would recommend Odies anytime to any one of my friends or family!" "Our family is so incredibly thankful to Sarah and everyone who helps her for making Ralph a part of our family. We feel that Sarah knew the right dog for us more than we may have ourselves! She has a gift for giving the gift of love to humans and furry friends. We know that this work and passion isn't an easy road and we are so grateful that we crossed paths!" "Ann and I lost our 11 year old Astrid three years ago. 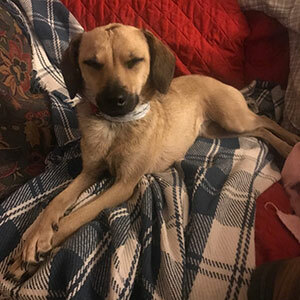 We had been struggling with whether or not it was time for us to adopt another rescue when we were made aware of Sarah and the great work she is doing through Odie’s Orchard Hill Rescue. Sarah listened to our “wish list” of physical and personality traits for our new family member and introduced us to our perfect match! We actually ended up adopting Daisy, who returned to Odie’s by her previous adopted family due to unforeseen circumstances. She goes by Gypsy now and seems to have adjusted well to the two of us. Gypsy is inquisitive, sweet natured, very playful and has quickly filled the void that any pet owner understands if they have lost a pet. All thanks to Sarah and her volunteers who made the process easy and quick. Not only did she make it easy to meet and interact with Gypsy before we made the final decision, she has continued to reach out to make sure all three of us are doing well during the first weeks of transition. Sarah’s compassion and dedication to placing rescues in “forever homes” shines through in every step of the process." "We have had an excellent experience working with Sarah, the owner of Odie’s Orchard Hill Rescue. She performed a thorough and relevant background check and made every effort to ensure that we were well-matched and happy with our adopted dog. It is very obvious that she has a passion for dogs and wants every adoption to go smoothly. On the day we met our new dog, she gave us plenty of time to get acquainted and thoroughly explained the follow-up veterinary care required. She also kept in touch with us during the first week or so, checking in daily to ask how things were going for all of us. Unexpectedly, about 3 weeks into our adoption period, the main caretaker of our new pet was faced with an unexpected medical circumstance that made it impossible to continue to care for the dog. Not knowing what to do, we explained our situation to Sarah, who could not have been more kind or caring to both our family and our dog, which we returned to her for placement with another family. 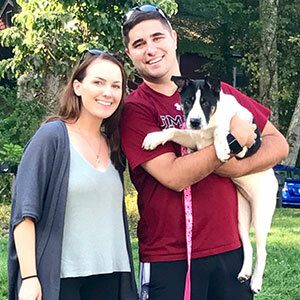 We are grateful to Sarah and Odie’s Orchard Hill Rescue for helping us in this process and for our very happy—if short—time with a lovely dog from her rescue." "In the winter of 2016, after I had gone through some loss and life changing experiences, I was on the search for a companion. I found a picture of Cory online, and after hearing a little about her I knew I had to meet her. Cory and I had a lot in common on paper, believe it or not.. Listening to the story of the hardships rescue pups face is never easy, and Cory's story was no different. She was all alone in Arkansas but came out strong southern belle. This was an instant connection for me because my journey also began in the Deep South, just a few hundred miles from where Cory started hers! I met Cory not too long after contacting Sarah from Odies Orchard Hill Rescue. It was love at first sight. There were so many kisses and tail wags, and she was great on the leash for our first walk. Here was this beautiful, energetic, well mannered and sweet dog that needed a home. I wasn't going to let that continue. After leaving our first date, I knew I had to see her again. And thanks to Sarah and the volunteers, I am now the happy friend of the best pup I've ever met. Cory and I started our new life together shortly after a tough break up So Cory and I were both in a new apartment, in a new town, and even yet another new state. But we now had each other. And within 24 hours we were doing everything together. In the few months I have been with Cory, she has shown me the things she loves to do!! She loves to take me fishing and in hikes through the woods, play with the kids, and run around with her dog friends at the dog park. I've always been an outdoorsman and Cory just meshed so well and loved the outdoors. It is amazing to know that Cory was doing the things she enjoys! Most recently our journey brought us to a new home on Martha's Vineyard where Cory is in heaven. She gets to play with wild turkeys, take long walks on the beach, go for boat rides and we get to meet all kinds of great people. 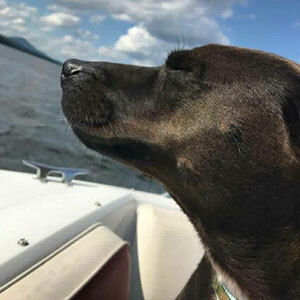 Cory was rescued from a place where no one wanted her, and made her way to one of the most dog friendly places in the United States. Cory gets to come with me to have coffee, walk the shops, down to the docks to check out the fish coming in.. The list goes on. She finally has what she deserves. And it is all thanks to the efforts of the volunteers and Sarah at Odies Orchard Hill Rescue. Sarah made the process of changing Cory's life (and mine) very simple and quick. Sarah is a true hero and Odies will always be my only reference when anyone is asking about adopting a new friend. Everything about the way Cory was cared for was heartwarming. Thank you Sarah and volunteers for taking such great care of my best friend until we met. I can't express enough how you changed my life." "We were always a two dog family, and we were looking for a companion for our dog Guinness after losing 12 yr. old Harley! Our daughter sent me a picture of Kip (Clemons) at Orchard Hill Rescue. I called Sarah, and the rest is history! Kip fits nicely into the family, he is a great buddy to Guinness and our grand dog Gunnar! They have play dates, and run and play themselves to exhaustion. Sarah was very easy to work with. The phone call set up our meet and greet date with Guinness and Kip was ours to take home. Thanks Sarah for bringing Kip to our family." "A few months back I owner surrender Emma our dearly loved St Bernard to Odie's Orchard Hill Rescue. This had to be one of the hardest things I've every done. I still cry at times from missing her. With that being said I have too say it was one of the best decisions to use this rescue. Sarah has communicated with me from day one when the process started. I've known every step of the process from dropping her off at transport to Sarah picking her up at transport. The screening process for an adoptive family is the best. Sarah is very diligent in matching animal and family personalities and this is why I'm confident that Emma is having the best life now. Thanks again to Odie's Orchard Hill Rescue." My family and I just wanted to thank you so much for everything you have done for us! We recently lost our beloved 10 month old black Bombay fur baby Gizmo to a terrible bone cancer, we had to say goodbye too soon. Gizmo wasn't just a "pet" he was a member of our family. His loss put a huge hole in our hearts and we miss him terribly. My family and I thought it would be a good idea to start searching for another black kitten, never to replace Gizmo, but to ease the pain and give us another chance to bring another member to our family and love another fur baby the way we did (and still do) Gizmo. After searching for almost a month, (with no black kittens in sight) I saw an adoption ad for a lovable black cat named Bruno through Odies Orchard hill rescue, I contacted Sarah about him. Unfortunately Bruno was a little older than we thought, so I let Sarah know and told her what we were looking for. That same night Sarah emailed me and said she may have exactly what we were looking for! She text me that same night with the good news, she had an 8 week old black male kitten!! My family I were ecstatic to say the least!! Sarah was absolutely wonderful through the whole process! She kept me updated on the vet visit and two days later we picked up our little bundle of joy Mister! We brought him home and he warmed up immediately. I read up on Sarah's story and her rescue and we think she is truly amazing! 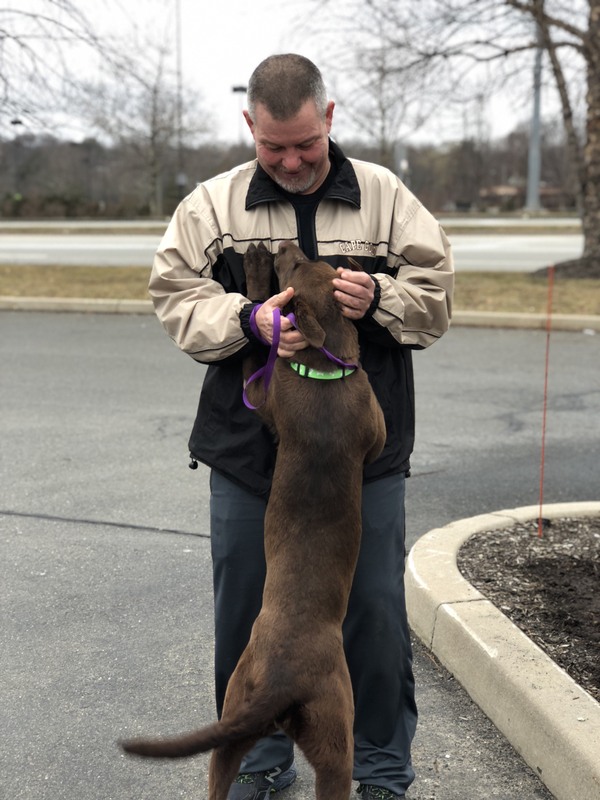 If you are looking for a new fur family member, and want someone that is compassionate about really helping animals find a great, loving fur ever home, then Sarah and Odie Orchard Hill Rescue is who you want to contact. 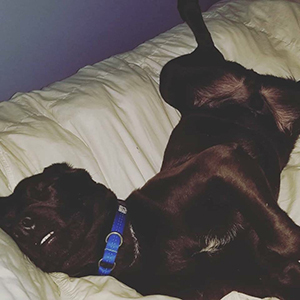 We can't thank you enough for helping us find Mister, our house is now a home again!" On October 29, 2015 my life was changed for the better. A few weeks prior I woke up with a very unusual craving for cheese twist brand name Jax I had a hard time finding these in my local grocery store but lo and behold I go down the snack isle and what do I find, yes that's right Jax. I get home check out facebook and again to my surprise I find Jax again. I see these beautiful brown eyes staring at me and saying please adopt me, won't you please be my Mom. Thank You Mary Muth DiBello for posting . Coincidence or faith you be the judge. I had lost my beloved black lab Amber in March and did not think I was ready for another dog. but this adorable dog's eyes kept talking to me, begging me please it was instant love. I contacted Sarah from odies orchard we made arrangements for me to adopt Jax. I brought Jax home and knew he had had a rough go. I immediately called my vet to do a meet and greet (she fell in love with this little guy just as I had) He was in tip top shape. We discussed some problems I was having with Jax not knowing where the bathroom was she suggested a few things and I tried them. I had to work on Monday and it was hard to leave him I put him in his crate and left. Oh how he cried this broke my heart. That was the first and last time Jax was ever crated in our home After a few months of love and consistency, and my dog sitter coming over throughout the day Jax was officially potty trained. I even (shh! it's a secret took a few days off from work to be with my little buddy. It's amazing how this this little guy has brought so much joy to my life a joy I thought I would never have again. Now every morning he jumps on the couch and watches me leave for work (which is still hard for me to leave him) But he is always at the door tail waggling with hundreds of kisses welcoming me home because he knows Mommy is coming back to him. He has come such a long way since October I give all the credit to love and persistence. He now comes, sits, lays down on command and I do believe the wee bit of a stubborn streak he had going on has disappeared. His favorite game is fetch his favorite toy is this incredibly ugly hedgehog kind of looking ball that is always showing up at my feet for a throw. He loves to cuddle up next to me on the couch or in bed at night and personally I wouldn't have it any other way He also loves to go for walk we try to go twice daily during the week weather permitting and more on the weekends he looks so cute sporting his red doggie coat. and sometimes I think he believes he is royalty the way he struts his stuff. I love this little guy with my whole heart and even though I still miss my baby girl Amber, Jax and I have formed a bond so strong he knows he will be loved forever. 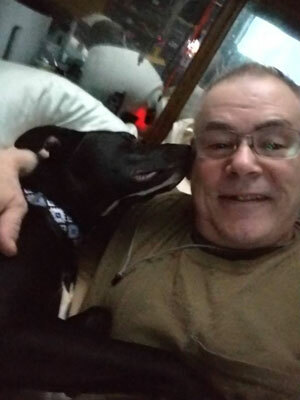 Thank You Old Orchard hill rescue, Sarah and Mary for making me and my little bud so happy"
"We were looking for some companionship for our aging dogs and contacted Odie's Orchard Hill Rescue. Our new fur-baby, Bobo, is perfect. . We only fostered for one day before we decided to adopt him! He was exactly as stated on Facebook - temperament, energy level, personality, and amount of adorableness. Our pugs have warmed up to him as a member of their pack as if he has been with them forever. Bobo completed our family!" "Sarah at Odies Hill Rescue was instrumental in our dog search. We didn't have a huge checklist for our next dog, just one that would be a companion to our beloved elderly dog and also tolerate our two young kids. Most importantly we wanted a dog that needed a home. Our Josie (formerly Suzie) fits in perfectly. She's generally unsure of everything and anything due to her past so the transition hasn't been easy. It's hard work to adopt a dog that has an untold story. We weren't looking/shopping for the picture perfect dog. We wanted a dog that needed a home, one that needed to feel loved and adored. Rescue dogs are the most grateful species around. It's rewarding to watch them finally feel what it's like to be loved and start to enjoy life. Josie is already learning to trust us, although it's a slow process. We were fully aware of her fears and hesitations. Sarah was very honest with us about Josie's past and that it would take time and patience to see her potential. I appreciated the honesty so that we could be fully prepared to care for her and have realistic expectations. Sarah is loyal to these animals. She's checked in several times, often worrying that she's bothering us. I don't see it like that at all. I see steadfast dedication to these animals and to finding the perfect home for them. I appreciate everything she's done to make the adoption process seamless. I know I can always reach out to her at any point and she will be quick to listen, give advice or even graciously receive my endless stream of pictures I text her. I encourage everyone to adopt! I also encourage everyone to support their local rescues so they can keep saving as many lives as possible! Thank you again Sarah for all you've done for our Jojobean, she's one of a kind and I know she's grateful for her second chance! And WE are grateful to give her THAT second chance!" 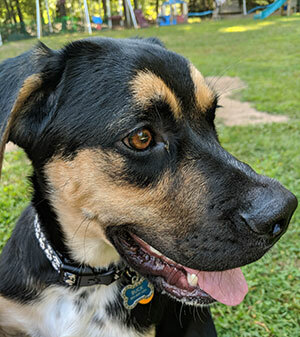 "We are so lucky to have connected with Sarah and Odie’s Orchard Hill Rescue. We had talked to other people and rescues about adopting kittens, but no one else had the passion that Sarah did. It was a fabulous experience working with her, she made it so easy for us. We adopted Cali and Swift (previously Paris and Scarlet) two adorable, energetic female kittens. Sarah rescued them from Arkansas and they were about 4 months when we got them. We were surprised to find that they had all of their vaccinations and had been spayed. Sarah was knowledgeable and helpful every step of the way. One of the girls had an eye infection just before we were to pick them up, and Sarah informed us that she had taken them to the Vet, and she needed to keep them a few more days. We appreciated this because we have another cat, and didn’t want him to catch it. It was obvious how much she cares and loves the animals that she rescues, and how important it is for them to have a good home. We can’t tell you how much we love these two girls. They are so energetic and fun, they actually have gotten our older cat to play with them! They love each other so much, and sleep together all of the time. They love playing with toys, chasing each other’s tails, and cuddling with us. Their favorite activity though is eating! They each are developing their individual personalities, and we love them more and more each day. They have really brought a new level of energy to our home! 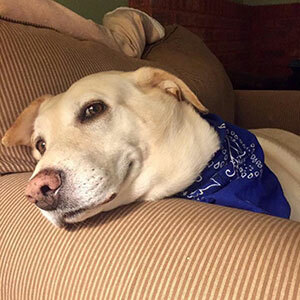 "I have had the recent pleasure of working with Sarah from Odie’s Orchard Hill Rescue to adopt our dog, Zoey. Right from the beginning, Sarah was responsive to our questions and very supportive regarding the process of bringing Zoey home for a trial week and our decision to adopt her. Our family consists of three kids and a cat, so we needed to find a dog who would be a right fit. Sarah was well informed in terms of knowing Zoey’s personality and disposition. I’m happy to say that Zoey, who was a stray and rescued from Arkansas, has brought nothing but more happiness into our family. She is affectionate, loyal and playful. 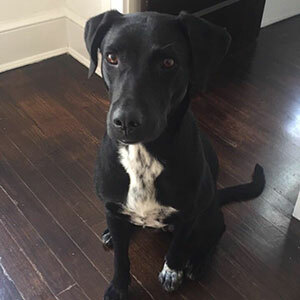 I would not hesitate to recommend a rescue dog to someone who is looking for a family pet, and would most definitely recommend Sarah and her rescue!" I wanted to take a moment to say thank you for all you do and especially for bringing us together with Butterscotch. He is such an adorable cat, so lovable and playful! He's a perfect addition to our family. He immediately fit into our household like he's lived here his whole life. Just as you described, he is a happy, healthy, curious and cuddly kitty who loves everyone and everything! We all feel very fortunate that he found us and we can give him his forever home, which he so desperately wanted. Thank you again Sarah, we are so blessed to have found your organization Odie's Orchard Hill Rescue and Butterscotch the best cat ever!!" "The story of Bacon really begins 3 weeks in. We had brought her for her first hike in a local game refuge. Unfortunately the moment we got there she slipped through her leash and took off. The first thing we thought was to call Sarah for advise on how to get her back. Before we could even hang up the phone she was on her way there to help in the search. After she got there the sun quickly set so she set up a stake out and sat there with us half the night waiting and hoping for the best. With no luck that first night Sarah set up a social media campaign with digital and paper flyers. Thanks to Sarah we had people coming from all over to help in the search which also lead to multiple sightings. With all the extra help we thought there was no way we could fail but the days started to get shorter and nights were getting colder. The only thing that kept us going was the hope in all the sightings we were getting. Sarah refused to give up though and soon enlisted help with a local animal trapper. They brought in some humane traps which led to finally catching her that third night! We would have never got her back if it wasn¹t for Sarah and without her, Bacon would have never survived. We can go on and on about how incredible Sarah is with animals but you can see thats pretty clear. We can never repay her for what she has done for our family. We moved into a new house earlier this year and had our second child but still felt something was missing. From the moment Bacon entered our home we finally felt complete. We were a little nervous bringing in a dog with our two kids under 4 but she is so sweet and amazing with them! Thank you Sarah for finding the perfect addition for us! You have made our house a home and because of your passion for helping animals kept it that way!" I can't thank you enough for bringing Luna to me (formerly Scout). She is such a sweet little girl with a big personality! The work that you do to make sure that these precious animals are going to loving forever homes is amazing. I'm so lucky to have been able to work with you, someone with integrity and spirit, you made sure that everything went smoothly and followed up to make sure that Luna's transition was going well. Your passion for helping animals is clear and I'm so grateful for you. Luna is so happy, and she has brought so much happiness into my home, I can't imagine life without her! Thank you!!" 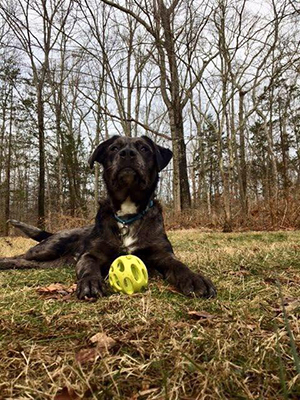 "The process of adopting our new family member was a fantastic experience thanks to Sarah and Odie’s Orchard Hill Rescue! We decided to adopt a senior dog through Odie’s, and we could not be happier with our decision. Charlie is the best! Sarah was always so responsive and provided us with as much information as possible throughout the process. We always knew what the next steps were. Sarah is truly amazing in what she does to save so many animals. Her passion and love for these animals is contagious. We encourage everyone to consider adopting a senior. Senior dogs are often already trained and ready to love you. We are so happy with our decision and look forward to many years ahead with Charlie. 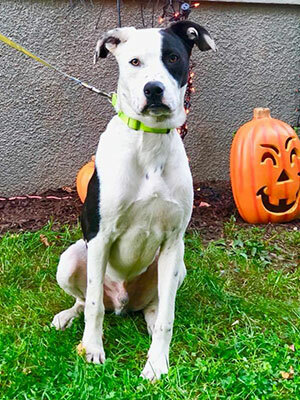 We will certianly look to Sarah and Odies Orchard Hill rescue when it is time to get a companion for Charlie! Thank you OOHR!" "Sarah, we can't thank you enough for choosing our family for Buster! He is such a sweet little man, gets along so well with all the other animals in our household and makes us smile on a regular basis. What a great addition to our family! I would encourage others to consider adopting older dogs...they have so much love to give and appreciate the love you give them in return. Unfortunately, there are so many sweet furry things out there still needing your help. Your heart is in the right place....keep up the good work!" "We have been living at our home for almost 18 years and have always had at least one dog. Our two boys (ages 13 and 11) have lived with dogs their entire lives. Unfortunately, this past April we had to put down our beloved Boomer due to an aggressive cancer. The house felt very lonely and empty without having a dog around. 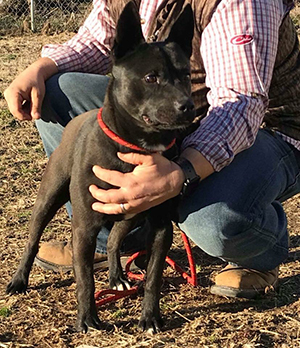 We embarked on the process of adopting a rescue not realizing that while there are many dogs in need of a home, there are very few that are local that one could actually meet before committing to have the dog shipped from the South. 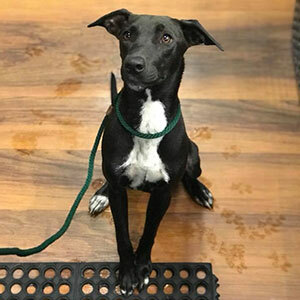 Thankfully we were connected with Sarah and Odie’s Orchard Hill Rescue from the people at Petals and Paws. We immediately felt comfortable with Sarah and her experience with rescue animals. She told us about that she was bringing Delta up from Arkansas and sent pictures and video for us to view. She contacted us a few days after Delta’s arrival to Connecticut to see if we wanted to meet her. It just so happened that the entire family was available because we were leaving that day on a mini vacation. We decided to meet Delta on our way out of town and immediately knew we wanted her to be a part of the family. She was very shy and timid but Sarah assured us that would pass. We decided to cancel our vacation and took Delta home that very day! She has been with us for 5 weeks now and it feels much longer. She is an awesome dog!!! She is very sweet and much more outgoing now that she is comfortable with the environment. She is great with kids and loves to lick and play fetch. She loves going on walks and being around people. She has not had one accident in the house. Our house feels “normal” with Delta in it. Thanks and kudos to Sarah for the great work she is doing connecting people with such wonderful animals who truly are in need of homes. 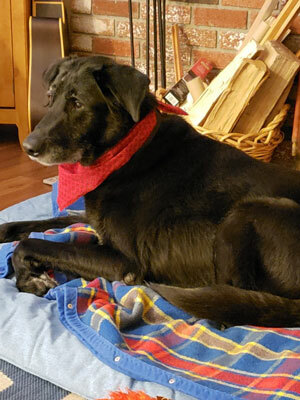 We love Delta and hope that many others will be connected with their perfect pets through Odie’s Orchard Hill Rescue." "We truly appreciate the compassion, devotion, and love that Sarah expresses to these animals. It’s only been a short while since we were fortunate enough to adopt Cinder into our family. We feel the great progress Cinder has made in such a short time is a direct result of the immediate love and care that Sarah showed her right off the transport. We knew we were adopting from the right place by how involved Sarah was before, during and after the adoption process. The communication back and forth really showed us the passion she has for these animals and the expectations she has for potential adopters. We are fortunate enough to now have Cinder and couldn’t be more excited about it. She has truly changed our lives. Thank you Odie’s Orchard Hill Rescue!" "Finding a new place for our daughters pet rabbit was a difficult endeavor for many reasons. Partly due to the fact that having to give up any pet is hard, our daughters had a very tough time with it but it was something we felt we had to do. After we came to the conclusion that we would begin looking for the right home we spoke to many people but none of them felt right. That changed when Sarah from Odies Orchard Hill Rescue offered to help. Speaking with her and hearing her passion for helping animals was clear from the moment we first contacted her. Once we heard about the things she had done for other animals and the efforts she goes through to find good homes for them it was clear this should be the home for Cookie Dough. We would recommend this rescue to anyone in need of finding a home for their pet." "We adopted our chiweenie Prince from Odie's Orchard Hill Rescue in February. He is amazing and a perfect fit in our family. Sarah is absolutely wonderful, and does all she can to help so many animals find fur-ever homes. She takes the time to seek out the dog/cat's history in order to find them the perfect home. This is so important and is never taken lightly. Prince is doing awesome and his favorite playmate is not my two other dogs, but our large male cat. It is hilarious to see them wrestle around together! Thank you Sarah for Prince!" "It was a dream to find Sarah and her family. I needed a home for my elderly goat due to a divorce situation. I couldn't have found a more suitable and loving home. What was above and beyond, Sarah would regularly give me updates and send pictures to let me know how happy and healthy Molly and her new friends were. It's obvious how much she loves and cares for animals." Thank you again for bringing Hogan into our lives. We are forever in your debt." "Paul and I have wanted to rescue a dog for some time now. 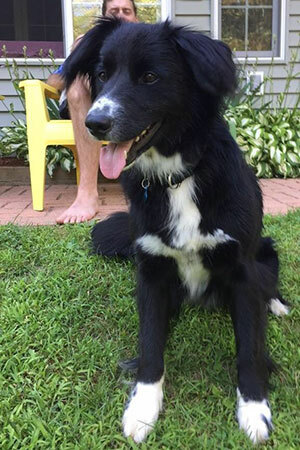 Paul has always wanted some kind of labrador or mix. 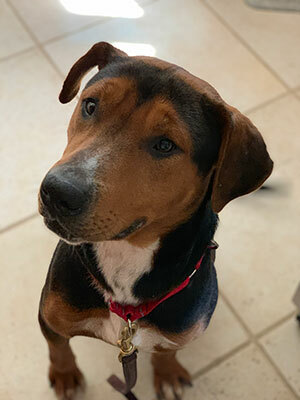 When my friend Susan shared the picture of Mojo on the Odie’s Orchard Hill Rescue facebook page, we knew we wanted to meet him. He looked like such a happy dog that really needed a good home. The day we contacted Sarah we were able to set up a time to meet. Mojo was quiet, friendly and clearly a happy dog. Once I got on the ground with him he was in my lap. We picked him up the next day. I spent some time trying to find a more friendly name for this happy go lucky dog and ended up with Milo so that it was close to his original name. We found out at our first vet visit that Milo is a happy and healthy 74 pound, 2 - 2 ½ year old pup. Even though the puppy stage is cute, we lucked out having a completely housebroken dog. And, while he doesn't know his name or any commands very well, he is always by my side outside, he loves garage time with Paul, and loves attention from anyone who comes to the house. Despite getting through the hurdles of command training and the occasional time we catch Milo stealing something off the counter, he has been nothing but a great addition to our household. His excitement is contagious, as is his laid back demeanor. I can’t say enough good things about Odie’s Orchard Hill Rescue for having the faith enough to rescue our Milo from Arkansas. They gave him the chance at finding his forever home and I am glad we were chosen to give him that place." "This was such a great experience! Raven is a wonderful dog - we are so lucky! We are grateful to Odie's Orchard Hill Rescue for getting us together - it is a perfect match. A big thanks and hugs especially to Sarah for her warm, caring guidance through this process." We love our pets. We have one rescue dog named Heidi and two beautiful white cats. Heidi is a genius, you can simply talk to her and she understands. "Heidi, you look hot, why don't you go for a swim?" So, in the pool she goes! The cats are mother and daughter, snow white and each has one green and one blue eye. They have provided years of entertainment for us. We love all three of our pets! If something ever happened that we had to give them up (god forbid), there is only one person we would trust with them! We have known Sarah for many years. We have watched as she has shed tears for animals that are in abusive or neglected situations. At Odie's, we have watched as she works to match up pets with the perfect family. Her husband and son also have a similar love and are always helping out. If your situation calls for help with your pets, Sarah is your best source for assistance. If you love pets, like we do and you can afford to donate to a great cause, make it Odie's! I can assure you that your donation will go to good use." I want to thank you so much for matching Amelia with my family. She is doing very well and has adjusted quickly. Amelia arrived to you very scared and a little deffensive and in such little time and lots of love, she has become a wonderful addition to our family. She is now the best of friends with our other cat. We just love having her as a part of our family. Again, thank you for all you have done." "Having my first dog is exiting and fun. Sometimes when we pet her she leans on our legs and we move and she falls. She is very cute, cuddly, and clumsy. I love her a lot. Why buy a dog when such great dogs need to be rescued from Odie's Orchard Hill." "Words cannot even begin to express the gratitude we have towards Sarah and what she does for these animals she rescues. We were fortunate enough to come across a posting of Slater (now Duke) who needed a forever home. We immediately fell in love with him. When we reached out about Duke Sarah had informed us he had already been adopted by a family. Unfortunately for Duke it did not work out with that original family and Sarah reached out to us. We immediately jumped on the opportunity to meet him. Before we met him, there were many phone calls and emails back and forth between Sarah and us. I could tell before I met Sarah she really cares for these animals and wants to make sure they are going to be safe and well taken care of. We were so excited to get Duke home and make him part of our family. We have been in contact with Sarah regularly as she is checking in on him, not because she doesn't think we are capable, but because she misses him. I love being able to send Sarah pictures and videos of Duke showing that he has adapted really well and is a member of our family. We are so grateful to have met such a compassionate person who really cares for each and every animal that comes across her doorstep! Thank you so much Sarah for helping us to complete our family!" We adopted Sassy (Chow/Shepard) mix on 6/15 because of Sarah at Odies. Her photo conveyed absolute cuteness! We scored the jackpot! Not only does she get cuter every day but she gets more lovable and smart as the days progress! We owe it all to Sarah at Odies who facilitated the adoption. Thank You Sarah, we are forever grateful. Sassy has not only enhanced our lives but our extended families as well. She's truly a joy and are blessed to be her parents. Thank you from the bottom of our hearts. When we decide to adopt another pet, Odies will be our only choice."